Most of the Americans and other countries, people watch movies, music, TV shows on PC’s, Tablets and Personal laptops. They use to set up box or Apple TV, Amazon Prime, Netflix and some other services. Amazon instant video gives the same feature what all streaming services are offering now that extended to 4K videos.Amazon Instant video provide best quality services to the consumers’ requirements. 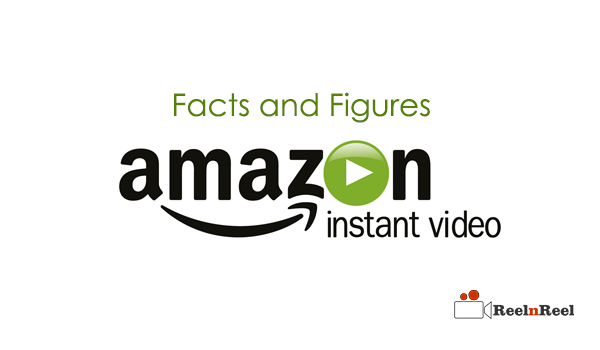 Amazon instant video is a VOD service provider for the countries like US, Austria, UK, Germany and expected to include India for its VOD services. The service was first started from 7th September in the year 2006. It was first called as a Amazon Unbox. The service was renamed as Amazon video on demand during the year 2008. Amazon is the second top paid streaming service after Netflix. From recent surveys, it was noticed that approximately 25 million subscribers are enjoying the Amazon instant video services. Amazon also offers the real programming with its shows which are exclusive for its prime-time users. The Amazon instant video platform has an annual prime program with $US98.9 which is available for the members for free. Amazon has gained more than 10 million subscribers during the December month itself. It has started its production of programmes from 2010. According to 2015 reports, Amazon prime customers have reached more than 40 million. $89 billion is the net sales of Amazon. Nearly 20 percent people in US millennials are using the Amazon prime. Nearly 17.8% people of GenX are using the Amazon instant video. More than 11.8 percent Baby Boomers are using the instant video services. More than 49000 mobile developers are there with Amazon instant. The net income of Amazon was 210$ in 2014. Nearly 70% people are using the Amazon app. 62.4 percent employees on Amazon were males and 38 percent are Females. Amazon app store is available in more than 200 countries across the Globe.